Ya gotta hand it to Jack. He has one of the nicest stables out of all my friends and also one of the best metal blogs. 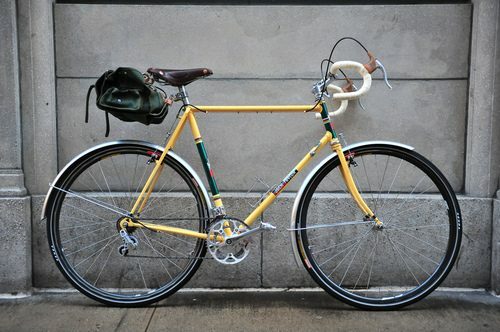 To boot, he just built up a freaking gorgeous Jack Taylor. After the build on Friday,Sasha did his magic on it. Really amazing details on this bike. 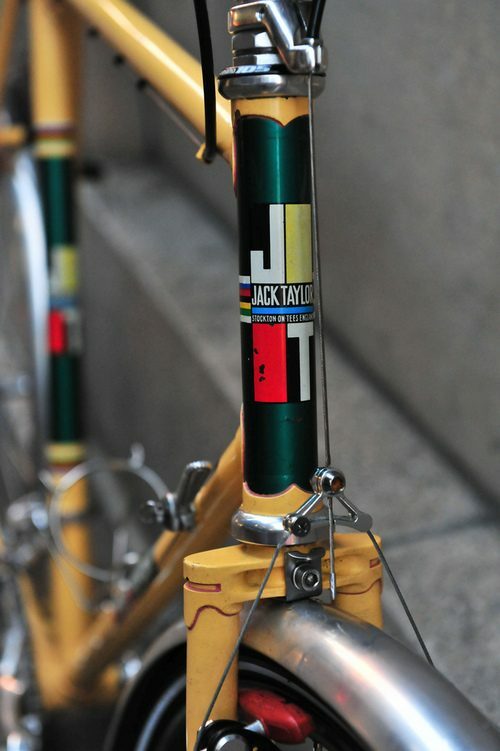 Love the world champ stripes on the head tube and the color choices jack made. Nuovo Record dt shifters too. Classy!